Neckwear designer BlackBird paired a vintage olive green with a classic medallion print. 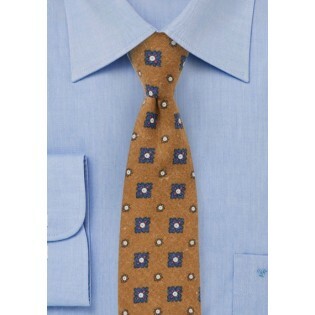 A great retro pattern and color that looks fantastic with most tweed vests and sports coats. 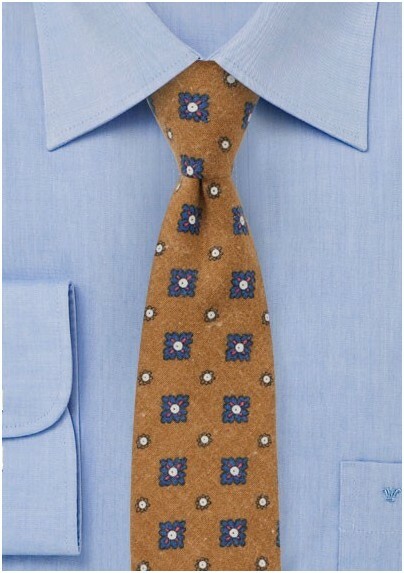 While great for navy or stone gray suits, we liked this tie most when paired with a dark navy vest, a light gray or blue flannel shirt, as well as dark washed denim jeans - a look that will get you compliments anywhere you go. Handmade from a printed cotton flannel fabric.